Tycoon employer sentenced to a 40-day occupational crime offense. The District Court of Ostrobothnia has, on 31 August 2017, sentenced a tycoon employer to a 40-day occupational crime offense. The court discussed the event in Vaasa, January, where the old bathroom was to be repaired. 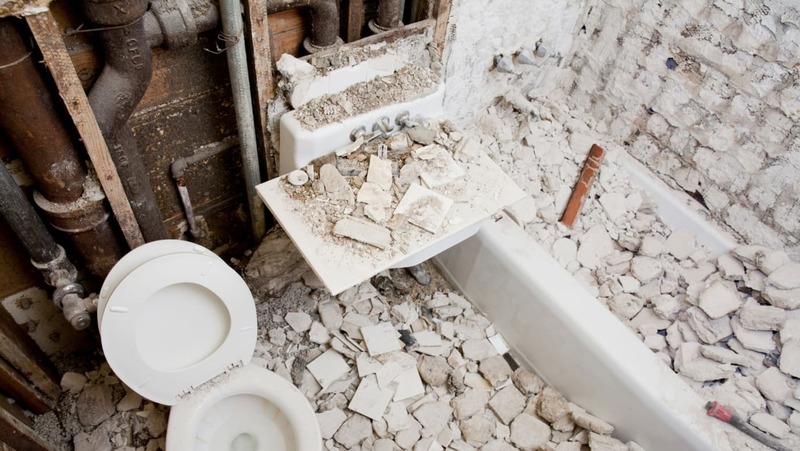 The employer was not aware of the asbestos in the bathroom, which meant that the bathrooms were demolished without proper protective equipment and the spread of asbestos dust was barely prevented. The employer did not have an asbestos clearance license issued by the occupational safety and health authority. The Occupational Safety Authority considered that the employer should have been more careful when taking the job. Before starting work, the employer should have identified the hazards of the work and assessing what kind of protection or permits the work requires especially because the building in question was built in the 1970's when it was customary for asbestos to be used in building materials. The District Court noted that occupational safety regulations emphasize the employer's responsibility for occupational safety and the identification of harm and hazards. The District Court held that because of the high probability of asbestos in a building constructed in the 1970s, and because the employer had previous experience of similar objects, the employer should have asked, for example, with specific questions to ascertain whether there is asbestos in the renovation facility. The District Court held that the employer had not sufficiently taken into account the risk associated with the occurrence of asbestos and therefore had breached the safety regulations. As a result of this negligence, one employee and other persons were, according to the District Court judgment, exposed to asbestos dust. The area of ​​responsibility for occupational safety of the Western and Northern Ireland Regional Office reminds us that the employer is responsible for the safety and health of their employees at work and that the employer should carefully investigate and assess the hazards and disadvantages of work before starting work. Asbestos is considered as carcinogenic and toxic for reproduction. Diseases that can be caused by asbestos occur only after decades of exposure.